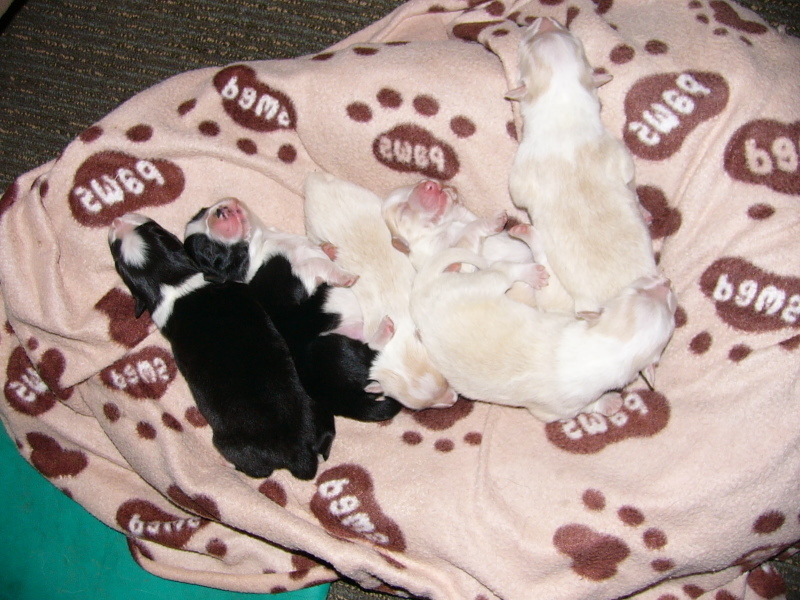 Charlie’s pups made for a very exciting arrival on Thursday. The earliest I had calculated would be Friday!! Wednesday night we went to bed with her safely tucked up under our bed but we awoke with a panic at 1am to find her gone & NO WHERE to be found.. GRRRRRR. We knew what had happened.. she had squeezed her way “somehow” out of our property to find a den to have her babies in. Although at that stage we didn’t think she would actually have them that night it did leave us with our stomachs churning with the notion of ‘what if..! !’ for the remainder of the night. However once daylight came Greg took the dogs out for a walk & their excitement pulled our Charlie out of her hidy-hole & caught!! She was absolutley caked in dirt but still in one piece. She was washed & under lock & key for the day. I arrived home that afternoon & took her (on the lead) with the others for a walk & she was very happy. We came home & lit the fire & she then cuddled up really close to Greg on the couch & out popped her first baby as the 6pm news was starting!! So wow.. that was the start of our Thursday night.. She did really well & had no problems birthing. 2 red boys, 2 red girls & 2 black boys. 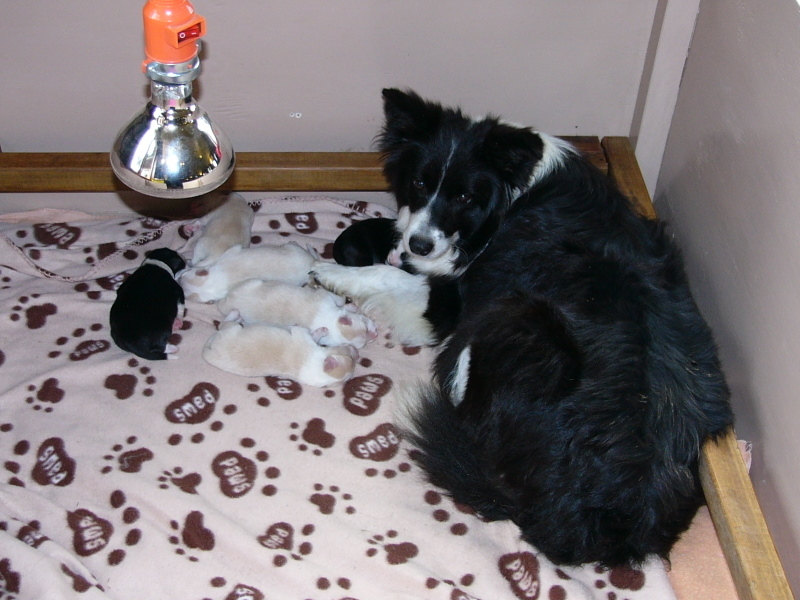 She had a meal at 11pm & a snooze & at 12.30am she popped out the last red boy who sadly was born dead. But we have a very happy & healthy tribe of 6 which we are delighted about. Bill, although some distance away I am sure will once again be a very proud Dad!!! 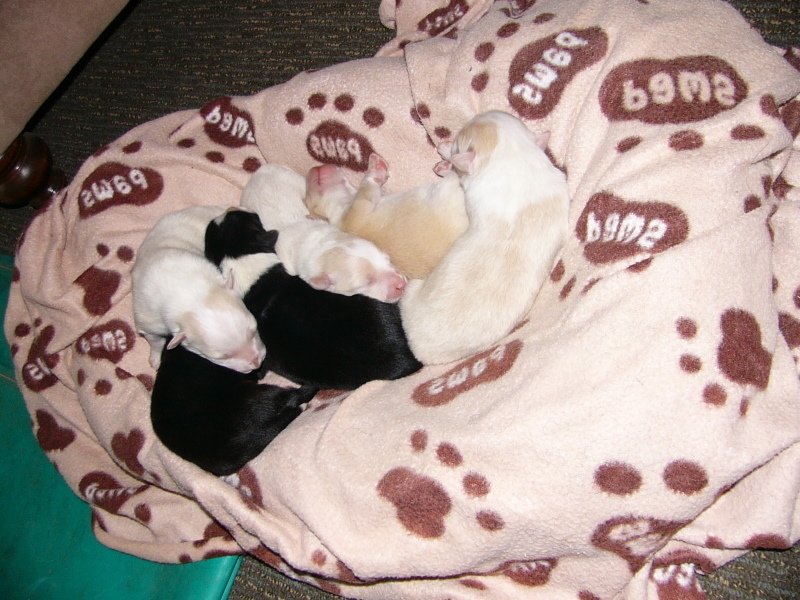 In 3 days the pups have already over doubled their birth weights & are very content. 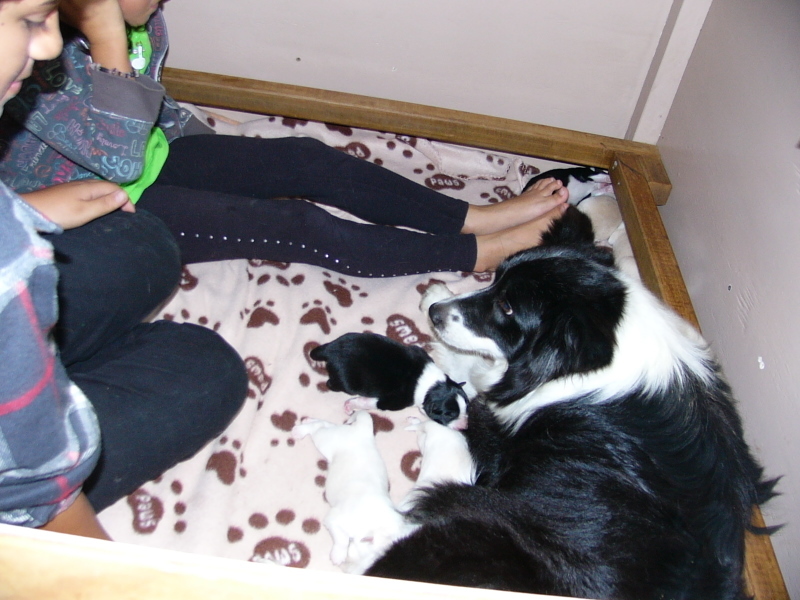 Charlie had her first little people to visit today & very proudly showed off her kids to them & let them share her box. She is still sneaking off to the deep dark den at night & unfortunately comes back filthy.. 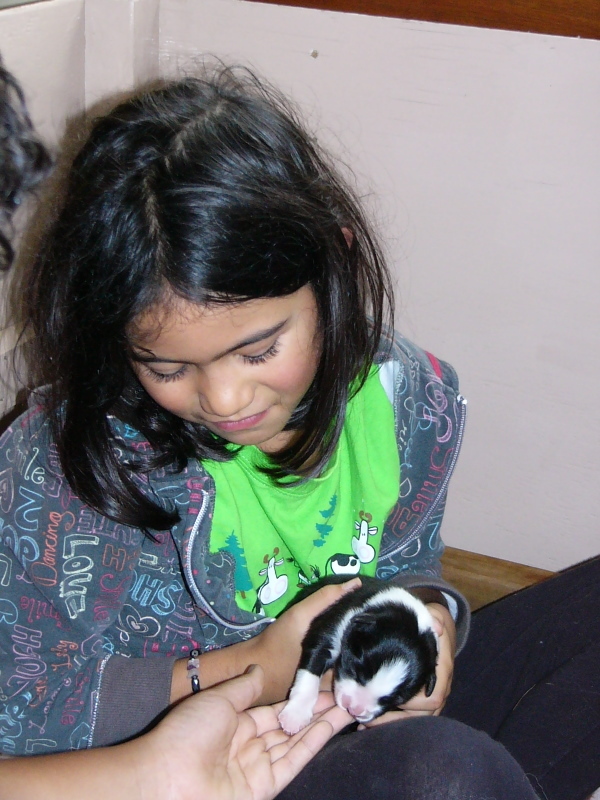 I was woken in the early hours this morning with the little pups almost chocking… their little faces covered in dirt!! I am SOOO pleased she didn’t have them in the den she dug out as I really don’t think they would have survived..
Rudy is a very handsome and loving boy and he’s in great condition mentally and physically – glad to say. Thanks Sheryn, We look forward to another visit..